BauBike by Michael Ubbesen Jakobsen | A contemporary gallery of art, design, film and music. 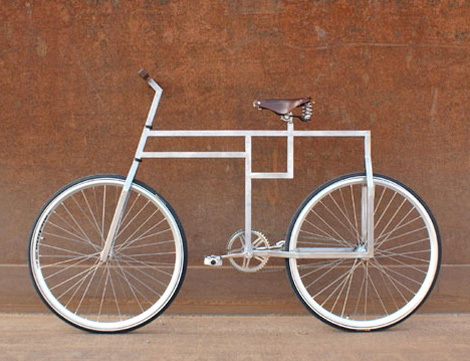 The BauBike by Michael Ubbesen Jakobsen beautifully squares up everything. The frame also leaves an open end piece above the back wheel to add accessories like an extra seat or cargo rack. It all works very nicely, especially the contrast of the raw steel frame with the classic Brooks saddle (which I’m privileged to own thanks to my good friend Kent). Now I really need the BauBike to go with it. kcthree – That would be a great accessory, and not just on the trails. Ever ridden down Folsom street at rush hour?